Pic Collage is a fun app that is free in the app store that you can download to your device. 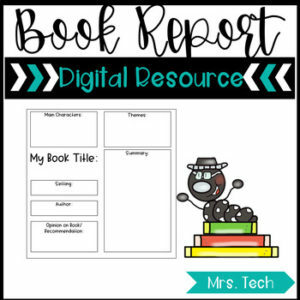 This product walks students through how to fill in the Book Report Rubric about a book that they have read. They simply save this .png file to their iPad, pull it up in Pic Collage to edit, and then save it as a picture again to share with you. There is a directions sheet to share with students included as well. * You can also pick up this product & others like it in my iPad Lesson Bundle.